The Philippines experiences an average of 20 typhoons every year, resulting to floods and other damage to properties, usually affecting millions of Filipinos across the country. A big percentage of those greatly affected by these calamities belong to the agricultural industry. Farmers lose a big chunk of their income whenever a strong typhoon hits the country. This has been a major problem in Mallig, Isabela where producing rice and corn is the main livelihood. If these crops are unnecessarily submerged in water, they can no longer sell the produce and all their invested money and hard work will all go to waste. To address this problem, the Malaya Development Cooperative (MDC) gave an option for farmers to borrow money so that they can regain the amount they have lost from calamity damage. However, it still wasn't enough. The losses incurred for one harvesting season is still very difficult to cover. Since microfinancing still wasn't enough to help them recover from all the losses, Ernesto Lactao, general manager of MDC felt the need to have an alternative income for the farmers. "We need to find another option to help our farmers. We have thought of putting up a business where they can benefit more. From there, we searched and we found out the potential of a dairy business here in Isabela," he shares. After going through a lot of research and dairy farm visits, MDC was able to put up their own dairy farm business with the help of the Foundation for a Sustainable Society (FSSI). Through this partnership, they were able to help the farmers have an alternative source of income by producing products such as milk, animals, and organic fertilizers. They conducted seminars and trainings for the farmers to further develop their skills and learn how to do organic farming. Things weren't so easy for MDC and the farmers of Mallig during the onset of the dairy farm project. They even incurred a big loss during their first year of operations. However, it didn't stop them from pursuing what they have already started. Slowly, they were able to get the needed skills and expertise to run and grow the social enterprise through the help of different private and public sectors. Eventually, MDC was able to get the assistance of the National Dairy Authority (NDA), which gave them 25 female cows with the task of multiplying them and distributing the calves to every member household. Under the program of MDC, each household is to be given three cows, each aimed at producing 10 liters of fresh milk every day. Their waste materials will also be bought back to be turned into organic fertilizers that can be sold. The animals on the other hand, will also be eventually bought by different government and non-government organizations, wherein the farmers can earn a percentage of the sales. Profits of the products when sold are given back to the farmers in the form of dividends. Through these, the folk will not only be able to generate alternative income; they will also be given employment opportunities to have a sustainable living. 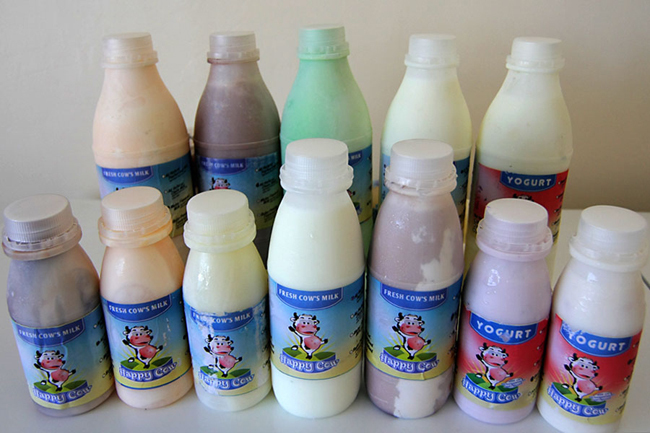 Through the success of their dairy farm business, MDC was recognized by the Philippine Rural Development Program (PRDP) as the processor of dairy products in Region 2. They are given P16 million worth of processing facilities, a procuring refrigerated van, a retort machine, and chillers for retail markets scattered throughout the province. At present, their products are now distributed in some areas in Isabela and Baguio. They also plan to distribute in other Northern Luzon areas to widen their reach. "We are very happy with the outcome of this social enterprise. Not only are we able to address the problem of climate change with our crops; we have also provided a sustainable alternative livelihood for our farmers in which we are very grateful," Lactao says.